A routine FA Cup win for Chelsea at home to Newcastle, who offered little genuine threat despite the best efforts of Jonjo Shelvey. It took half an hour for Antonio Conte’s men to break the deadlock, Michy Batshuayi taking advantage of a rare start to get his name on the scoresheet after a fine move from the home team. Eden Hazard played the Belgian forward in for his second just before the break, with Marcos Alonso adding one of his now trademark free-kicks to complete the scoring midway through the second half. 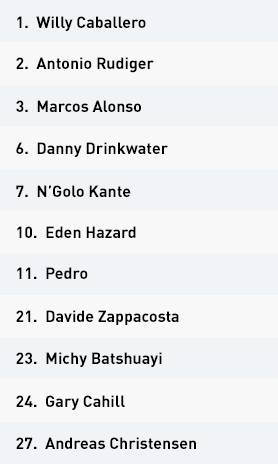 Chelsea started in a 3-5-2 formation, switching to 5-3-2 in defence, with wing-backs Davide Zappacosta and Marcos Alonso dropping back to support the back three. They varied the positioning of their back five, changing from a medium block to a low block when their opponents were trying to spring an attack. The Blues defended deep and made good use of the space in order to maintain their structure. They sat back and encouraged Karl Darlow to find his centre-backs in plenty of space, into which Michy Batshuayi and Pedro could push to force them into going long towards Dwight Gayle – who struggled up against a well-positioned back three. 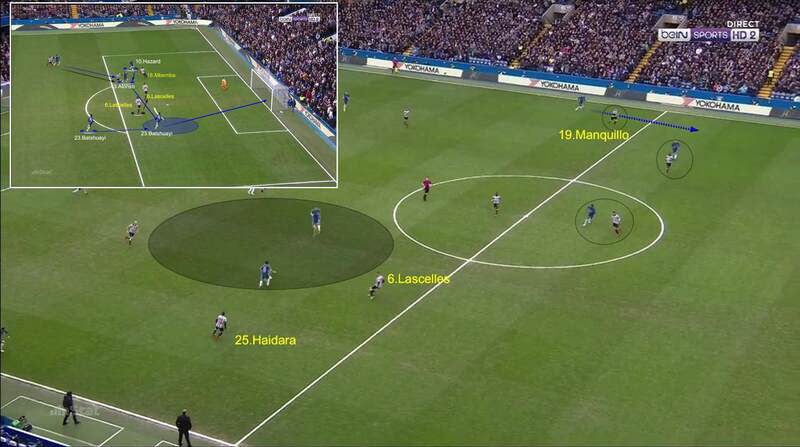 In midfield, Conte’s men pressed the player in possession and always looked for turnovers. Danny Drinkwater, who read the game well, particularly stood out in this regard. 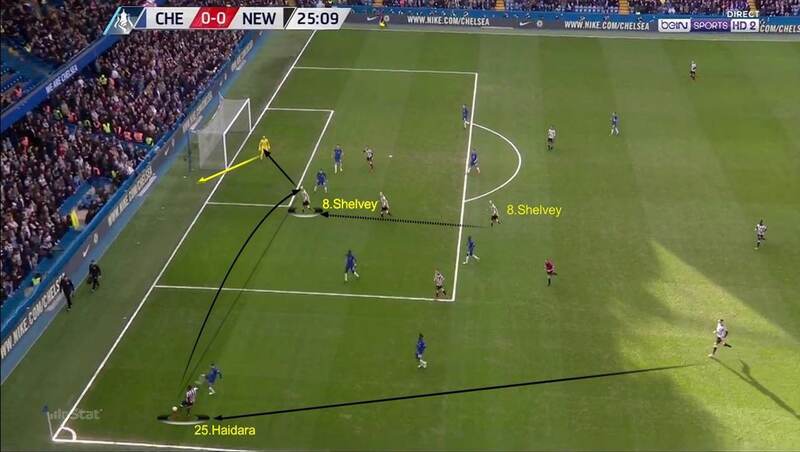 In the final third, their defensive line dealt well with the direct Newcastle approach – although Jonjo Shelvey did manage to find some gaps in the Chelsea back line with a number of well-timed runs from midfield. 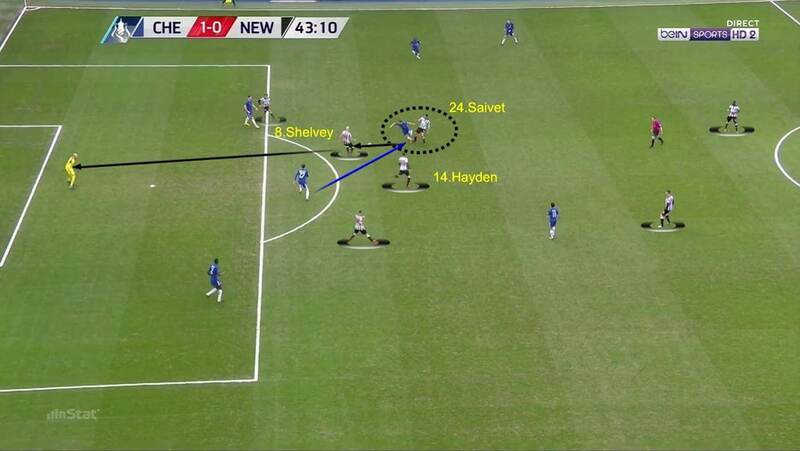 On the counter-attack, Chelsea caused constant uncertainty in the Newcastle defence. The speed of their moves after winning the ball back was vital in finding Pedro or Eden Hazard free in between the lines. The quick-footed pair caused chaos, setting Michy Batshuayi free to score twice for the hosts. In attack, Chelsea alternated between playing out from the back and a more direct approach. The Newcastle high press made it difficult for the back three to play short into the midfield, where the aim was to drive the ball towards the Newcastle area as quickly as possible. 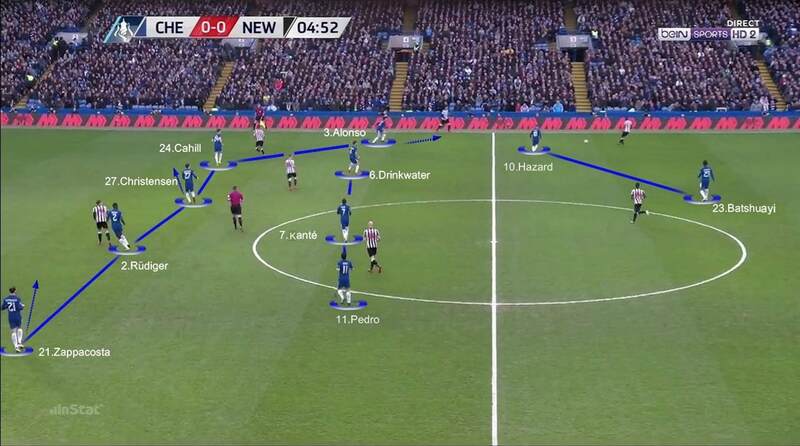 Pedro and Hazard made the best use of the space in behind the midfield line, exploiting the gaps to test the organisation of the Newcastle defence. They often switched play wide to their offensively minded wing-backs: Alonso mostly looked to cut inside and shoot, while Zappacosta tried to whip in dangerous crosses. Batshuayi constantly attacked the space in the final third, with the intention of unbalancing the defence and taking up shooting positions. In their defensive transition, Chelsea reorganised quickly and effectively when they lost possession. The positioning of Gary Cahill and Antonio Rudiger inside the opposition half in attack helped them press the player in possession quickly. The shape formed by these centre-backs and the midfielders helped them keep any Newcastle breaks under control. 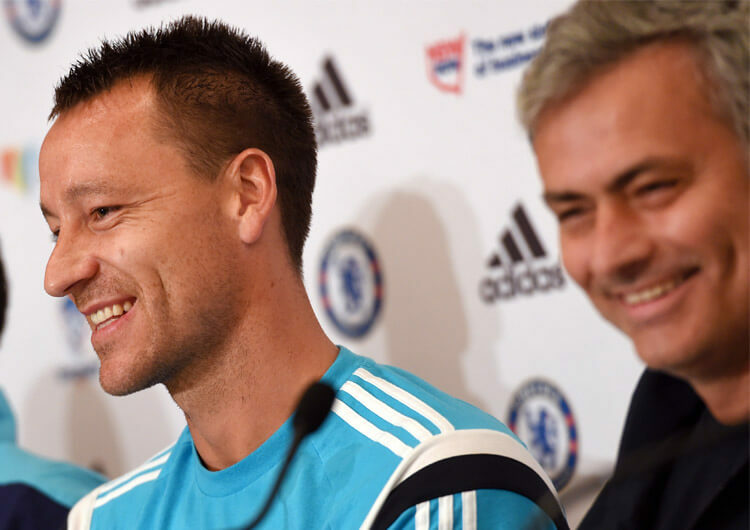 Chelsea started in a 3-5-2 formation, switching to 5-3-2 in defence, situated in a medium block. This image shows the defensive support offered by players not marking individuals to protect the last line of the defence. Antonio Conte stationed Gary Cahill and Antonio Rudiger inside the opposition half in attack, to create numerical superiority around the player in possession. This helped to make their moves more fluid and, if they lost the ball, enabled a quicker press. 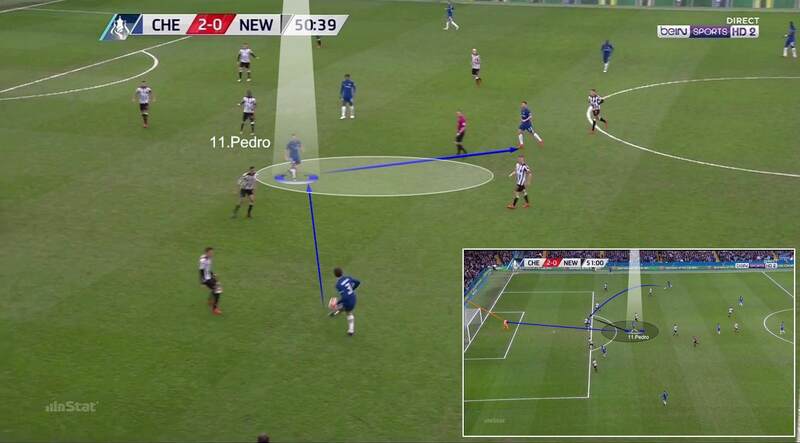 Pedro was the Chelsea player who made the best use of the gaps in behind the Newcastle midfielders. The ease with which the Spaniard exploited the free space helped his teammates to create scoring chances. 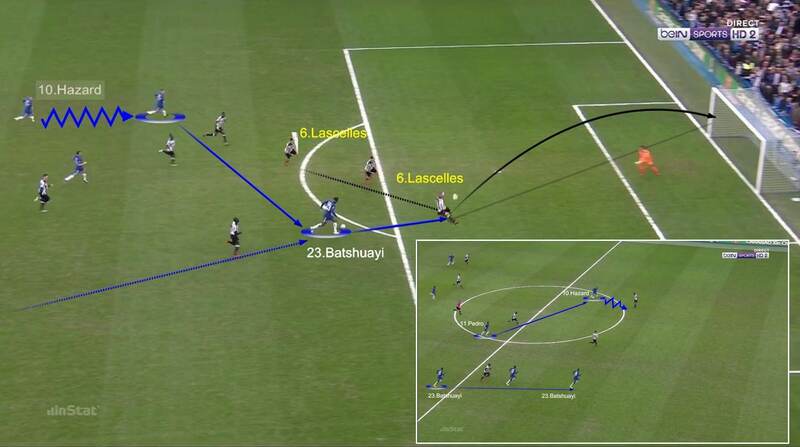 On the counter-attack, Chelsea were able to exploit the space in behind the Newcastle defence. Here, Pedro finds Eden Hazard who, having lured in the defence, frees Michy Batshuayi to score the second. Chelsea were able to penetrate out wide, too. Here, Davide Zappacosta and Marcos Alonso exploit the space left by their rival full-backs in and around the Newcastle penalty area. Newcastle set up in a 5-4-1 formation. Their defensive structure consisted of clusters, in which one group pushed forwards into the opposition half to press and the other positioned themselves deeper in anticipation of long balls. Rafa Benitez had several strategies for cutting off Chelsea attacks. Here, the Newcastle front line channels short passes from the Blues central in a bid to surround and press the possible recipient, with the intention of winning the ball back as quickly and high up the pitch as possible. 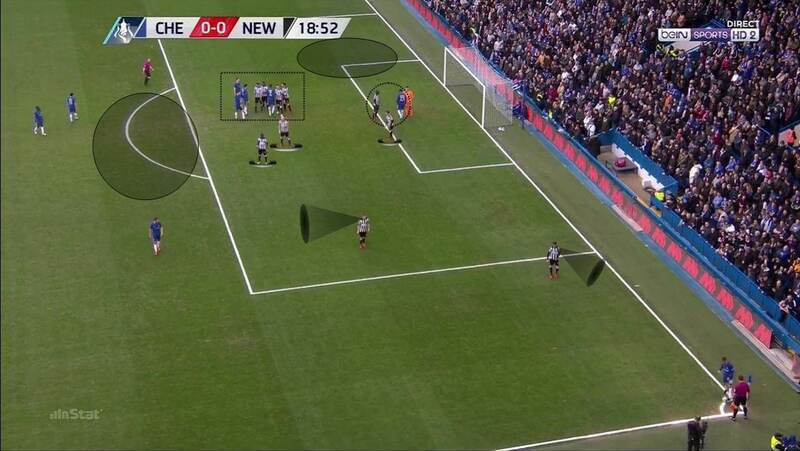 In the final third, Newcastle looked to play crosses into the Chelsea box. Here, Massadio Haidara reaches the byline before finding Jonjo Shelvey, who times his run well to surprise Andreas Christensen at the front post. Shelvey was the visitors’ most incisive player. The Magpies' defensive lines made it too easy for the Chelsea attackers to pose problems in behind their back four. This image shows how two players get in behind their midfield line and through on goal, with Batshuayi eventually scoring. Newcastle defended corners well, despite leaving significant space both on the edge of the area and at the far post. This image shows how they went with man-marking near the penalty spot and zonal marking at the front post. They also have two players watching Hazard and Danny Drinkwater to ensure that they are not vulnerable in the corner. 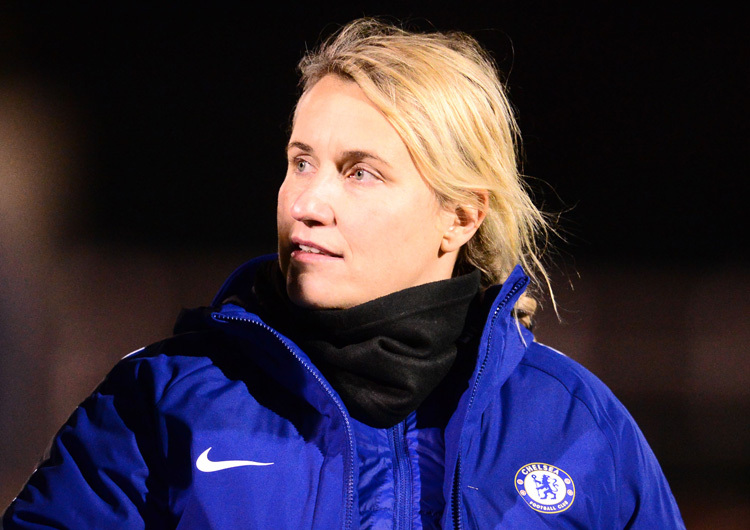 The front line looked to channel Chelsea through the centre, where they had formed a defensive unit intent on pressing any recipient of the ball. Jonjo Shelvey, Isaac Hayden and Matt Ritchie were tasked with surrounding the man on the ball, winning it back and looking to get shots off quickly. 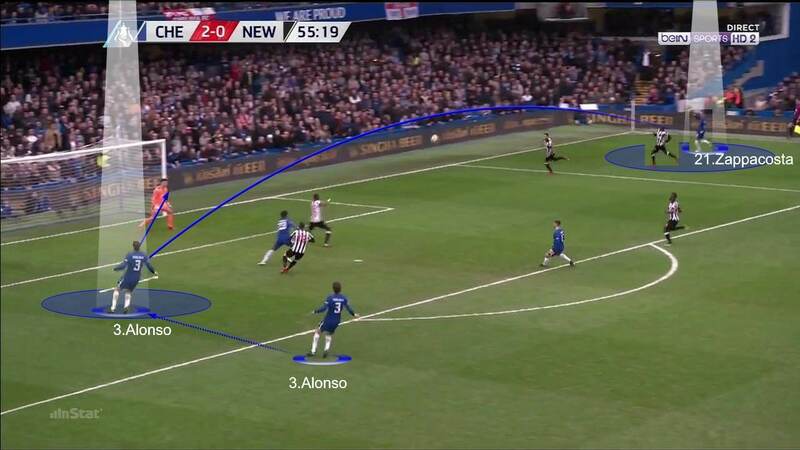 The Newcastle midfielders did not press properly in the centre of the pitch, however, granting the Chelsea attackers time and space to move forwards dangerously. Pedro in particular was able to explot this gap in between the midfield line. Newcastle were not afraid of defending deep, allowing their opponents free rein with the ball, yet they failed to neutralise the constant overlapping runs of Marcos Alonso and Davide Zappacosta at any point in the match. Newcastle were slow to reorganise in their defensive transition, as they struggled to press effectively in the opposition half. The midfielders closest to where they lost the ball could not keep track of the player in possession, affording them the time to launch a counter-attack and move the ball into the opposition half. As a result, their defensive line had a constant weakness in behind the full-backs. 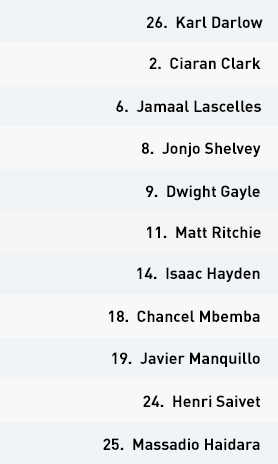 Their main option in attack was to play direct into Dwight Gayle. They avoided playing passes in their own half at all costs, as they do not have the players for that style of football. The tempo of their play was too rushed, however, meaning their quick decision-making was not matched with good execution. Only occasionally did they get midfielders into forward positions; when they did, it was Jonjo Shelvey who proved their most incisive attacker, particularly when it came to making late runs into the area. He failed to convert any chances, however, and Gayle was largely ineffective as the visitors otherwise struggled for presence in the final third. On the counter-attack, Newcastle worked hard to try to take advantage of any momentary gaps in Conte’s defence. Shelvey again was the chief threat, looking for the runs of his teammates with precise, promising passes before subsequently joining the attack himself. Antonio Conte stationed Gary Cahill and Antonio Rudiger inside the opposition half in attack, supporting N’Golo Kante and Danny Drinkwater to effect a numerical superiority. This made their attacks more fluid and, when they lost the ball, enabled a quicker press. Pedro was the Chelsea player who made the best use of the gaps in behind the Newcastle midfielders. The ease with which the Spaniard exploited the free space helped his teammates to create a number of scoring chances. 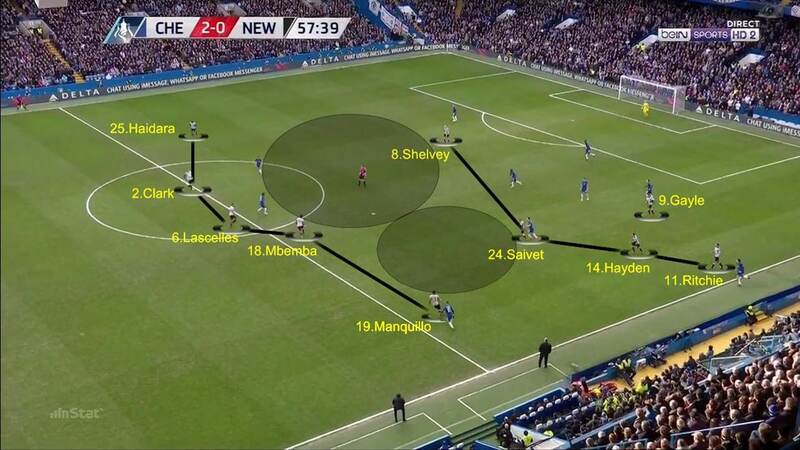 Chelsea were consistently able to penetrate the Newcastle defence out wide. Davide Zappacosta and Marcos Alonso caused plenty of problems in the opposing penalty area. Newcastle lacked the resources to seriously threaten in attack. Conscious of their limited presence going forward, Rafa Benitez looked to Jonjo Shelvey as their key man. The central midfielder timed his runs into the box to get into shooting positions as often as possible. 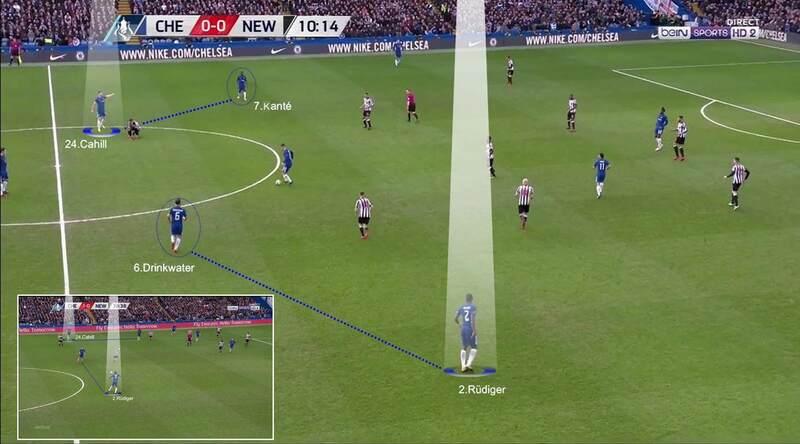 Newcastle looked to make life difficult for the Chelsea defence by channelling their short passes through the centre. 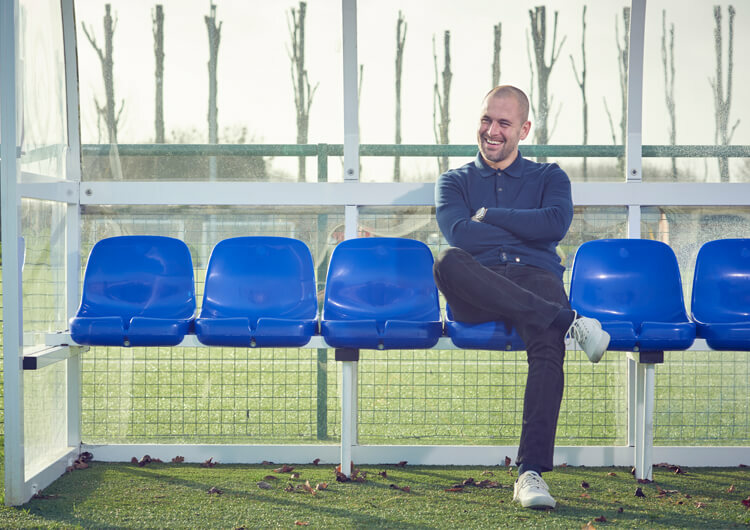 They would then press the player with the ball and look to win possession before firing off shots at Willy Caballero as quickly as possible.